Home - Library Featured Resources - LibGuides at West Coast University, Inc. Academic Search Complete is the world's most valuable and comprehensive scholarly, multi-disciplinary full-text database, with more than 8,500 full-text periodicals, including more than 7,300 peer-reviewed journals. In addition to full text, this database offers indexing and abstracts for more than 12,500 journals and a total of more than 13,200 publications including monographs, reports, conference proceedings, etc. AHFS Consumer Medication Information is a trusted source and recognized standard for patient drug information, available in both English and Spanish. Published by the American Society of Health-System Pharmacists, AHFS includes more than a thousand drug information monographs written in lay language for consumers and has been a Top Ten Award Winner in the Department of Health and Human Services National Consumer Education Materials Contest. This content is updated monthly. Books @ Ovid has over 60 ebooks available featuring the Incredibly Easy! book series for nurses. The book series is lighthearted, but never simplistic, to make learning fun and effective, while also featuring articles that are contributed by experienced clinicians, ensuring that content is based on sound clinical principles and hands-on expertise. CINAHL Plus® with Full Text is a robust collection of full text for nursing & allied health journals, providing full text for more than 770 journals indexed in CINAHL®. This authoritative file contains full text for many of the most used journals in the CINAHL index, with no embargo. CINAHL Plus with Full Text is the core research tool for all areas of nursing and allied health literature. Full text coverage dates back to 1937. Cochrane Controlled Trials Register is a bibliography of controlled trials identified by contributors to the Cochrane Collaboration and others, as part of an international effort to hand search the world's journals and create an unbiased source of data for systematic reviews. Cochrane Database of Systematic Reviews contains full text articles, as well as protocols focusing on the effects of healthcare. Data is evidence-based medicine and is often combined statistically (with meta-analysis) to increase the power of the findings of numerous studies, each too small to produce reliable results individually. The Cochrane Methodology Register (CMR) is a bibliography of publications which report on methods used in the conduct of controlled trials. It includes journal articles, books and conference proceedings; these articles are taken from the MEDLINE database and from hand searches. The database contains studies of methods used in reviews and more general methodological studies which could be relevant to anyone preparing systematic reviews. CMR records contain the title of the article, information on where it was published (bibliographic details), and in some cases, a summary of the article. CMR is produced by the UK Cochrane Centre, on behalf of the Cochrane Methodology Review Group. CREDO Reference helps find information on all subjects out of 607 reference sources such as dictionaries, encyclopedias, biographies, and more. Database of Abstracts of Reviews of Effects (DARE) includes abstracts of published systematic reviews on the effects of health care from around the world, which have been critically analyzed according to a high standard of criteria. This database provides access to quality reviews in subjects for which a Cochrane review may not yet exist. Dentistry & Oral Science Source covers all facets relating to the areas of dentistry including dental public health, endodontics, facial pain & surgery, odontology, oral & maxillofacial pathology/surgery/radiology, orthodontology, pediatric dentistry, periodontology, and prosthodontics. The database is updated weekly on EBSCOhost. The Digital Public Library of America brings together the riches of America’s libraries, archives, and museums, and makes them freely available to the world. The Directory of Open Access Journals covers free, full text, quality-controlled scientific and scholarly journals. Aims to cover all subjects and languages. DynaMed™ is a clinical reference tool created by physicians for physicians and other health care professionals for use at the point-of-care. Dynamed is updated daily and has clinically organized summaries for more than 3200 topics. eBook Academic Collection allows you to search and view more than 250,000 eBooks in this large selection of multidisciplinary eBook titles representing a broad range of academic subject matter. The breadth of information available through this collection ensures that users will have access to information relevant to their research needs. GeneEd is developed and maintained by the National Library of Medicine (NLM) and the National Human Genome Institute (NHGRI), National Institutes of Health (NIH), is a safe and useful resource for students and teachers to learn genetics.The Web site allows the user to explore topics such as Cell Biology, DNA, Genes, Chromosomes, Heredity/Inheritance Patterns, Epigenetics/Inheritance and the Environment, Genetic Conditions, Evolution, Biostatistics, Biotechnology, DNA Forensics, and Top Issues in Genetics. Health Business Full Text, provides full text coverage for more than 130 well-known administrative journals. Critical for hospital administrators and managers, this database includes publications covering the business of health care administration and much more. The Health Policy Reference Center is a comprehensive full-text database designed to support the informational needs of corporations, medical institutions, government agencies, and other entities relative to health policy. Its extensive scope and content provide users with a wealth of extremely useful information essential to all aspects of the health policy discipline. This collection offers unmatched full-text coverage of information relevant to many areas integral to health policy including, but not limited to: health care access, health care quality, health care financing, etc. The database features hundreds of thousands of records, and offers complete coverage of more than 200 full-text titles. Searchable cited references are also provided. Health Source: Consumer Edition, this database is the richest collection of consumer health information available to libraries worldwide, providing information on many health topics including the medical sciences, food sciences and nutrition, childcare, sports medicine and general health. Health Source: Consumer Edition provides access to nearly 80 full text, consumer health magazines. Health Source: Nursing/Academic Edition, provides nearly 550 scholarly full text journals focusing on many medical disciplines. Health Source: Nursing/Academic Edition also features the AHFS Consumer Medication Information, which covers 1,300 generic drug patient education sheets with more than 4,700 brand names. Lexicomp Online is an invaluable dental hygiene resource that contains valuable drug information, patient education resources (in many languages), oral surgery videos, and other important dental reference information. MEDLINE Complete provides authoritative medical information on medicine, nursing, dentistry, veterinary medicine, the health care system, pre-clinical sciences, and much more. With coverage dating back to 1857 and full-text back to 1865, MEDLINE Complete is the definitive research tool for medical literature. The Natural Medicine Comprehensive Database provides an evidence-based perspective on natural medicines and treatments, their interactions and effectiveness, and a comparison between these and conventional medicines. Nexis Uni (formerly LexisNexis Academic) provides access to a wide range of news, business, legal, medical, and reference information from nearly 5,000 sources, most of them available in full text. The service covers newspapers, magazines, wire services, federal and state court opinions, federal and state statutes, federal regulations, and SEC filings. News information is updated daily and wire services several times daily. Nursing Reference Center is a quick reference at the point-of-care, including evidence-based care sheets that summarize diseases and conditions, cultural competency information, patient education handouts, and point-of-care drug information. Open Library is an open, editable library catalog, building towards a web page for every book ever published. To date, the website has gathered over 20 million records from a variety of large catalogs as well as single contributions, with more on the way. Opposing Viewpoints in Context covers today’s hottest social issues, from Offshore Drilling to Climate Change, Health Care to Immigration. This database helps students research, analyze and organize a broad variety of data for conducting research, completing writing assignments, preparing for debates, creating presentations and more. 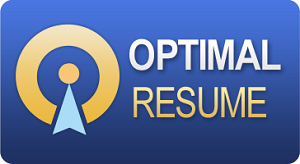 OptimalResume™ is an award-winning on-demand resume technology to create, present, and manage resumes. More than 700 organizations from a variety of industries including education, workforce, government, non-profit, and business have used OptimalResume™ to provide scalable resume services, teach resume skills, and enhance professional development services. ProQuest Health & Medical Complete, database offers reliable, comprehensive journal coverage of clinical and biomedical topics, consumer health, health administration and more. ProQuest Nursing & Allied Health Source, database offers reliable, comprehensive coverage of the fields of nursing and allied health including journals, video, dissertations, reference books and more. PubChem contains the chemical structures of small organic molecules and information on their biological activities. It is organized as three linked databases: PubChem Substance, PubChem Compound, and PubChem BioAssay. Rehabilitation Reference Center, is a clinical reference tool designed for use by rehabilitation clinicians, physical therapists, and occupational therapists at the point of care. You can use this resource to find clinical reviews, journal articles, books, and patient information. An exciting feature of this database is the ability to customize patient information sheets with illustrated instructions for therapeutic exercises, your contact information, and any special instructions you may have for the patient. SPORTDiscus, is the world's most comprehensive source of full text for sports & sports medicine journals, providing full text for 550 journals indexed in SPORTDiscus. This authoritative file contains full text for many of the most used journals in the SPORTDiscus index - with no embargo. With full-text coverage dating back to 1985, SPORTDiscus with Full Text is the definitive research tool for all areas of sports & sports medicine literature.